Seaweeds play a key role in the rocky-shore fauna by providing shelter and food for many invertebrate species, which in turn compose the diet of benthic and pelagic predators. This study investigated the effect of the macroalgal host species on an assemblage of associated amphipods, and tested if the host mediates the vulnerability of amphipods to predation. 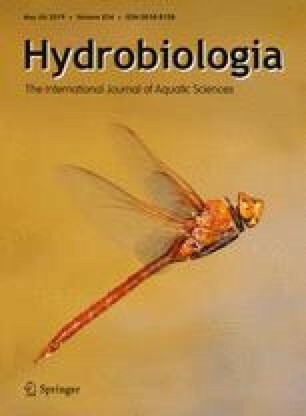 The association of amphipods with the macroalgal hosts Dichotomaria marginata, Padina gymnospora, and Sargassum filipendula was evaluated seasonally for 1 year on a subtropical rocky shore on the southeastern coast of Brazil. The density of amphipods did not vary with season or host. However, the composition of amphipod species was sensitive to the host macroalgal species and varied temporally. A field experiment showed no clear effect of predation on the amphipod assemblage. Also, predation did not explain the spatial or temporal variation of the amphipod assemblage. Our results indicate that the identity of the macroalgal host drove the composition of the associated amphipods, while predation may have a minor role. Therefore, the loss of habitat-forming organisms such as seaweeds is expected to have drastic consequences for the composition of associated fauna, and consequently on the flow of matter and energy in coastal ecosystems. The online version of this article ( https://doi.org/10.1007/s10750-019-3941-8) contains supplementary material, which is available to authorized users. We thank Aline Neufeld for the assistance with field and laboratory work, and Pedro Bergamo for valuable comments. We are also grateful to anonymous reviewers for their comments and suggestions. This study was financially supported by a doctoral scholarship from the São Paulo Research Foundation (FAPESP) to GBO Machado (Grant No. 2013/17629-9). This study was financially supported by the São Paulo Research Foundation (FAPESP) Grant to GBO Machado (Grant No. 2013/17629-9). All applicable international, national, and/or institutional guidelines for sampling, care, and experimental use of organisms for the study have been followed and all necessary approvals have been obtained.